I’m back in a seriously wintry Nice after a glorious couple of weeks in sunny South Africa, so of course I’m already counting the days until summer rolls into the Riviera. 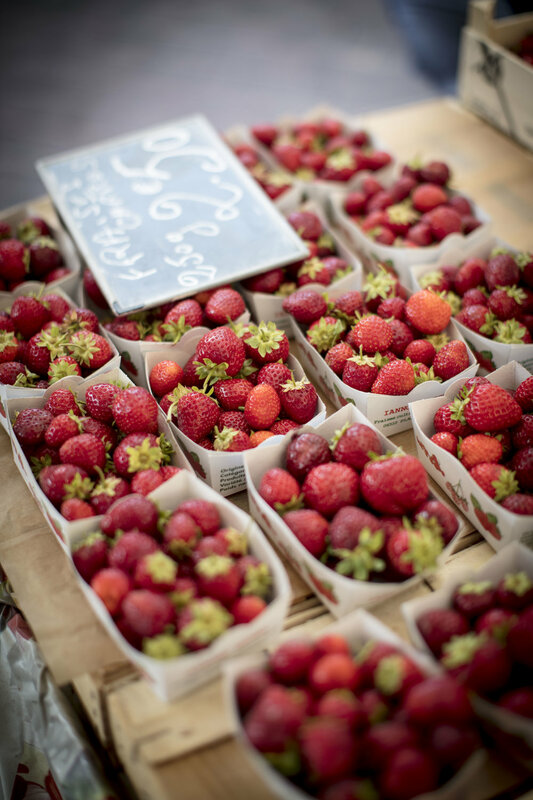 To me, summer hasn’t officially started until I see the basket loads of berries and stone fruit arriving at the market. And by the time their sweet fragrances are replaced by perfumes of citrus, I know that those chilly mornings are not far off. Considering the tartness of berries, stone fruit and yoghurt, combining them is a classic, simple go-to. But I like to break the acidity up a bit. 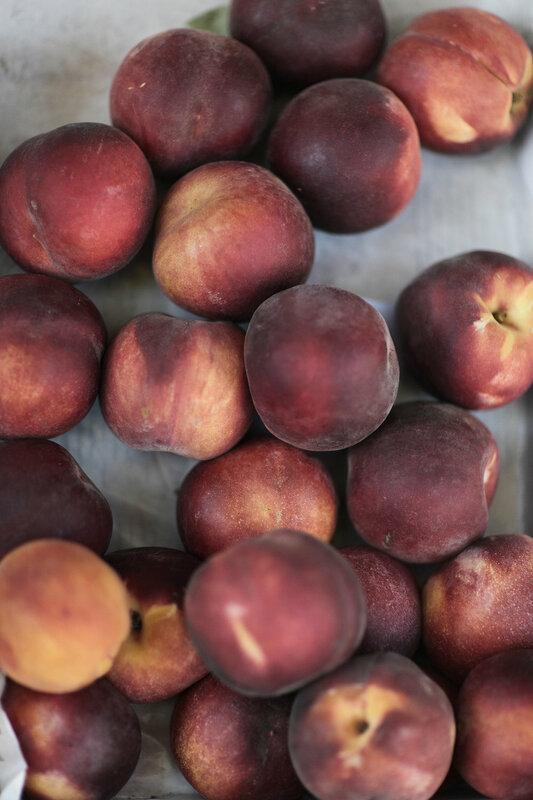 Compared to the sharp floral notes of most berries, apricots have a creamier fruit flavour, but their sourness gets me every time. Pan-frying apricots in a tiny pat of butter complements their creaminess and makes them ever so slightly more decadent without compromising the healthy earthiness of this breakfast bowl. As a chef working France, the market becomes such an inseparable part of your existence. Ever since my days of working on the yachts off the coast of Monaco, my inspiration for a menu started with a trip to the market. It becomes a way of “living” the season, discovering what farmers, growers and foragers have dug out of the ground or sampled from a tree. And as much as chefs tend to neglect themselves - especially when it comes to breakfast - something about these market trips always inspires me to create something small and simple to enjoy all by myself. The French make no secret of their love of butter, which I seldom resist. “Just go with it,” I’ve always thought. And while breakfast seems an unlikely time of day to tatin up a couple of stone fruit, I don’t see the harm in starting the day with something resembling dessert, especially not if it’s going to make you feel like a million bucks. Frying halved apricots in a tiny pat of butter feels so decadent, but in my mind, this combination still gives me a healthy (and guilt-free) jumpstart to the day. Halve the apricots and gently remove the pips. 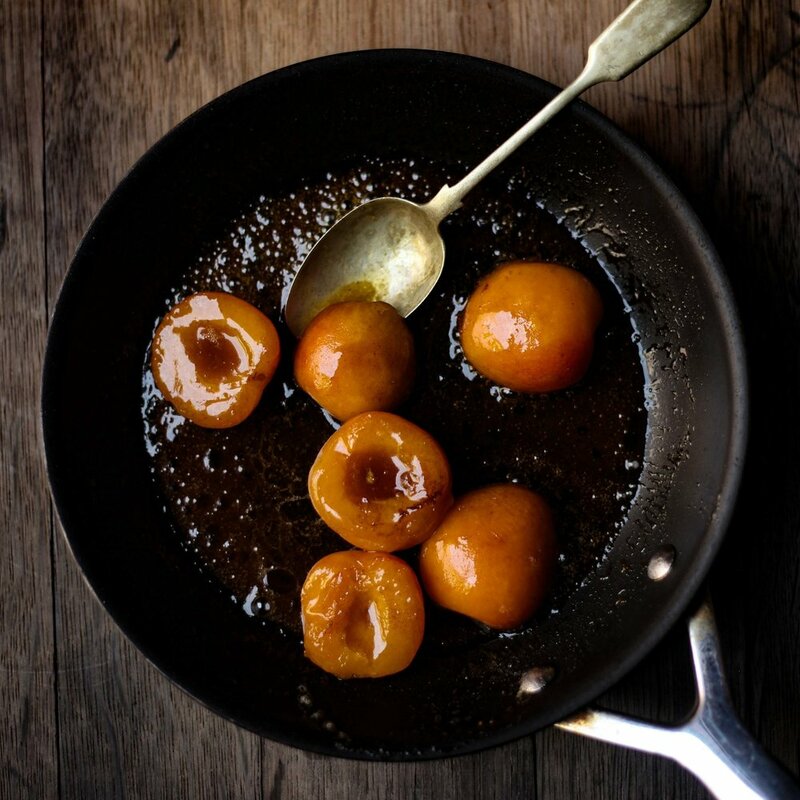 Melt the butter in a saucepan and add the apricots. Add the honey and fry the apricots until soft. Remove from the heat and let it cool for about 10 minutes. Spoon the yoghurt into a serving bowl and arrange the apricots on the side. Top the yoghurt with the blackberries and cherries. Drizzle with honey and enjoy.